Microsoft promised to update the client every two weeks, and so far it's following through. When Microsoft announced the new Skype for Linux Alpha, it committed to updating this client every two weeks. Microsoft has followed through on its promise and Skype for Linux Alpha has already seen some notable updates. 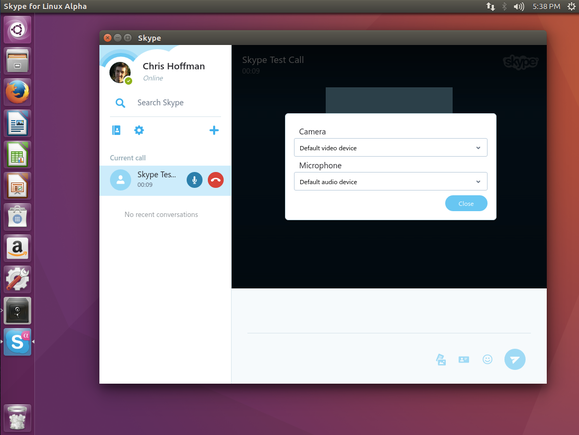 If you’re using Skype for Linux Alpha, you’ll see some worthwhile improvements. Skype adds a software repository when you install it, so updates will arrive through your Linux desktop’s normal software updater application. Skype for Linux Alpha is now at version 1.2, and a changelog posted to the Skype forums highlights what’s new. Notably, you can now change your audio and video devices—that is, your microphone and webcam—within the application. This option is a bit hidden, as it's not available in a normal settings window. Instead, you have to join a call and, while in the call, click a gear icon that appears next to the microphone icon. You can then choose devices. While you can set your webcam in the client, you can’t yet participate in video calls. The option to set your microphone highlights that video call support should appear in Skype for Linux Alpha soon. That likely means video calls are almost here for Skype for Web on Chromebooks, too. 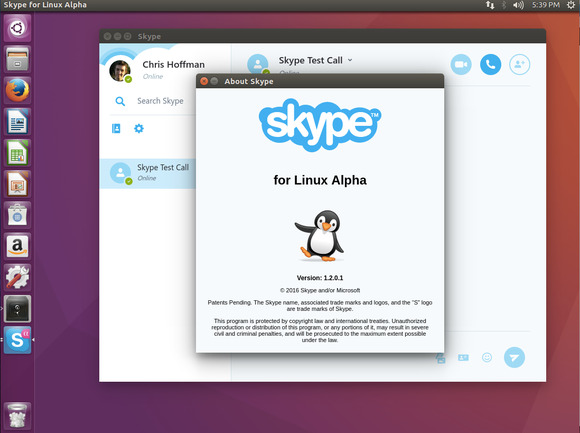 Skype for Linux Alpha is basically Skype for Web with Linux desktop integration features. Linux users will also find a new option for closing Skype to their desktop’s system tray at Tools > Close to Tray, allowing Skype to continue running in the background without cluttering the desktop with a window. Other improvements include support for HD avatars, the ability to set a mood message from your profile screen, and a more reliable chat service if you’ve been logged in for a long time. Expect more updates to arrive every two weeks as Microsoft works hard on getting Skype for Linux Alpha ready to entirely replace the old Skype for Linux application. Some Linux users may not be happy that they’re getting a prettied up web application, but let’s be honest: It’s impressive that Microsoft is putting this much effort into a Linux desktop application at all.